Prestab panels designed according to Low Voltage Switchgear Systems IEC 61439-2. Has a monoblock structure and mounting types are available for ABB,Legrand,Eaton,Schneider and Siemens switchgears. Prestab cabinets are one of our wall mounted type system solutions. Structure consist of 150, 200, 250, 300, 400 mm depth system solutions with single module. Modules have different alternatives such as 200, 300, 400, 500, 600, 700, 800, 1000, 1200 mm width; 300, 400, 500, 600,700, 800,1000,1200, 1400 mm height. Provides different solutions from IP31, IP43, IP55, up to IP66 protection degree. Prestab cabinets have a monoblock welded structure. Due to the bending and welding operations on the module structure, it has a protection degree up to IP66. 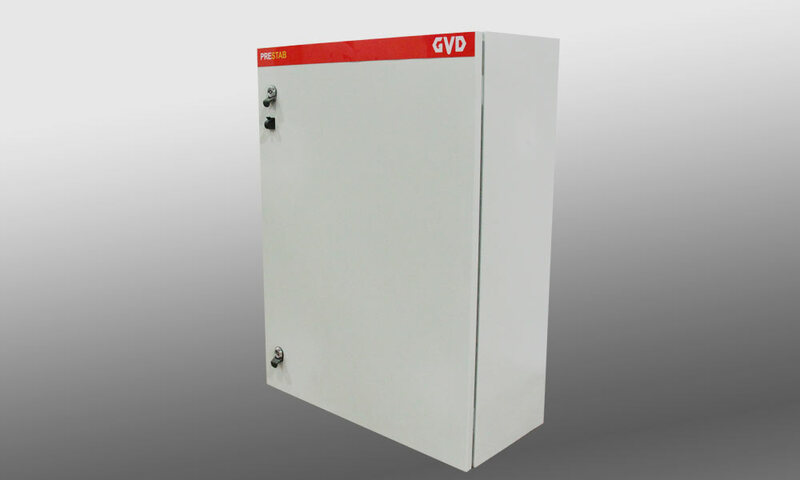 Prestab cabinets are available in box packings for shipments. Beside all these it provides an esthetical outlook.